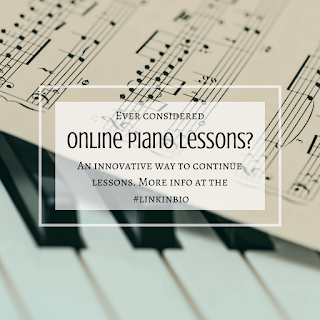 Wondering about online lessons and if they are a good choice for you or your piano kid? Whether you are a complete beginner, or an intermediate student looking to refine some skills & advance your playing level, online lessons can be a great option to consider. By now you all know I'm a huge fan of gamification. So here's another great app you can use to supplement your piano student's practice time at home and grow their sight reading skills. 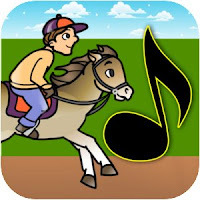 Flash Note Derby is a race where your horse runs faster when you play the correct notes. If you get too many wrong, you may fall behind. I really like this app because it rewards careful consideration, and 'guessing' will end up hurting your chances in the game. Another great thing is that you can customize which notes will be used, AND those customizatons can even be shared by email. This means I as the teacher can send you a preset each week with a specialized set of notes that you can practice at home. Just open the email on your device with the app, tap the link in the email, and you are good to go! It seems like we just launched our practice challenges in the fall, and already our studio year is wrapping up as we move towards recital season in the Spring! I applaud every one of my students who signed up for a practice challenge, and learned lessons in time management, consistency and perseverance. 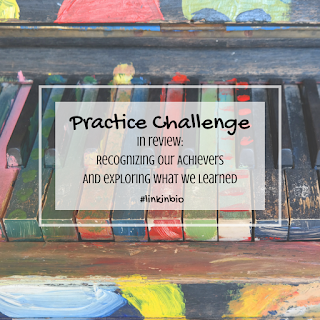 And I'll bet you noticed that when you were able to stick to a practice plan, you saw real growth and improvement. The saying goes: Practice makes progress, and we definitely proved that this year. Now, I wasn't just sitting on the sidelines cheering, I did the 100 day challenge too. Let me tell you, some days it was not easy, and there may have been a few midnight practice sessions just so I wouldn't have to start over. But I set myself the challenge too because I felt it was really important to share in this experience alongside my students. 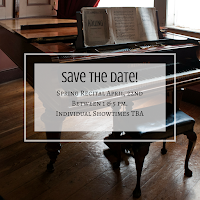 Spring Recital - Save the Date! Save the date for our next Recital! When: Sunday, April 22nd between 1:00-5:00 pm. Showtimes available at 1:00, 2:00, 3:00 & 4:00. Please confirm your preferred showtime with your teacher. Where: The recital will be held at the Pasadena Central Library at 285 E Walnut in the Donald R Wright Auditorium. Performance opportunities are such an important part of a young musician's growth, to learn more about why we love recitals so much click here. The library asks that we leave the library lot available for their patrons. There is free parking on weekends at he Phoenix University lot adjacent to the library lot, as well as metered street parking.